The IEB seeks to advance quality teaching and learning in South Africa through an assessment process of integrity, innovation and international comparability. All schools registered with the IEB to write the National Senior Certificate have access to a range of professional development opportunities as well as a variety of assessments, designed to serve a range of purposes. The list of IEB High schools can be found here. The IEB produces consistent, reliable results in the Grade 12 National Senior Certificate with an average pass rate between 97% and 98%. Furthermore the IEB achieves between 78% and 80% pass with entry to degree study. The IEB uses the South African national curriculum which is regulated by the Department of Basic Education. The IEB NSC is quality assured by Umalusi which is the Council for Quality Assurance in General and Further Education. The IEB NSC is also an internationally benchmarked qualification and is equivalent to Cambridge AS level. The APs are designed for Grade 12 learners to give academically gifted students the opportunity of studying these subjects in greater depth. The Advanced Programmes are designed to develop independent and critical thinking skills. The following terminology applies to these Terms and Conditions, Privacy Statement and Disclaimer Notice and any or all Agreements: "Client", “You” and “Your” refers to you, the person accessing this website and accepting the Company’s terms and conditions. "The Company", “Ourselves”, “We” and "Us", refers to our Company. “Party”, “Parties”, or “Us”, refers to both the Client and ourselves, or either the Client or ourselves. All terms refer to the offer, acceptance and consideration of payment necessary to undertake the process of our assistance to the Client in the most appropriate manner, whether by formal meetings of a fixed duration, or any other means, for the express purpose of meeting the Client’s needs in respect of provision of the Company’s stated services/products, in accordance with and subject to, prevailing South African Law. Any use of the above terminology or other words in the singular, plural, capitalisation and/or he/she or they, are taken as interchangeable and therefore as referring to same. Client records are regarded as confidential and therefore will not be divulged to any third party, other than if we are legally required to do so to the appropriate authorities. Clients have the right to request sight of, and copies of any and all Client Records we keep, on the proviso that we are given reasonable notice of such a request. Clients are requested to retain copies of any literature issued in relation to the provision of our services. Where appropriate, we shall issue Client’s with appropriate written information, handouts or copies of records as part of an agreed contract, for the benefit of both parties. We have several different e-mail addresses for different queries. These and other contact information, can be found on our Contact Us link on our website or via Company literature or via the Company’s stated telephone, facsimile or mobile telephone numbers. 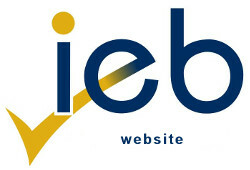 The entire contents of the IEB website is owned by IEB and protected by copyright (all rights reserved). The downloading or printing of individual pages or passages from the website is only permitted if neither a copyright notice nor any other legally protected titles are removed. If you download data from the IEB website or reproduce it in any other way, all proprietary rights remain with IEB. The (complete or partial) reproduction, transmission (electronically or by other means), modification, linking or usage of the IEB website for public or commercial purposes is forbidden without the prior written agreement from IEB.